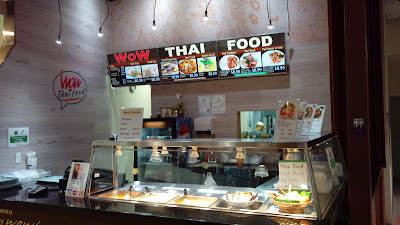 After tossing back and forth of what to eat, I settled with Thai food. Then I had to decide where to eat. Dine-in at the Thai restaurant or grab-n-go from the Thai food stall? With a baby in the carriage...food court it is. Other than the ready-to-eat curry options in the warmer, most of the dishes on the menu are made to order. Wait times vary depending on the dishes ordered. 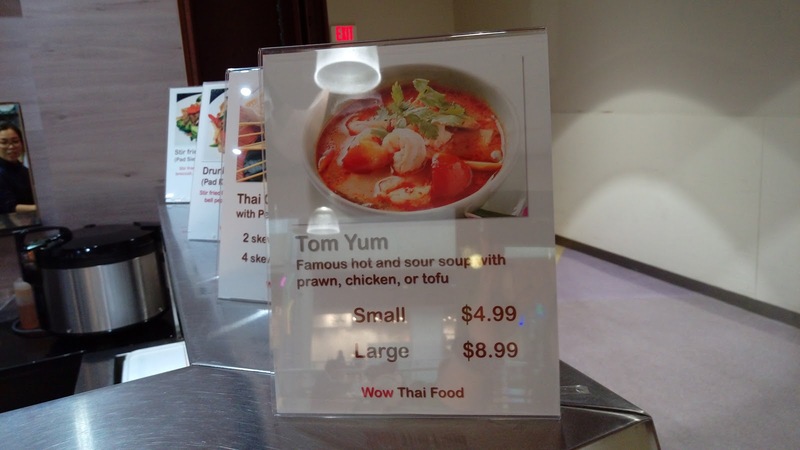 For $4.99CAD, a small order of Tom Yum Chicken was quite a small bowl. 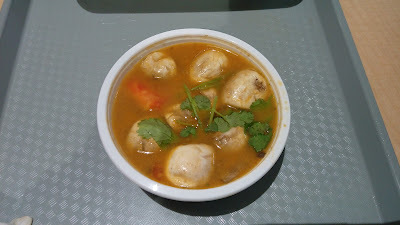 The soup had white chicken meat accompanied with button mushrooms, tomato and cilantro. 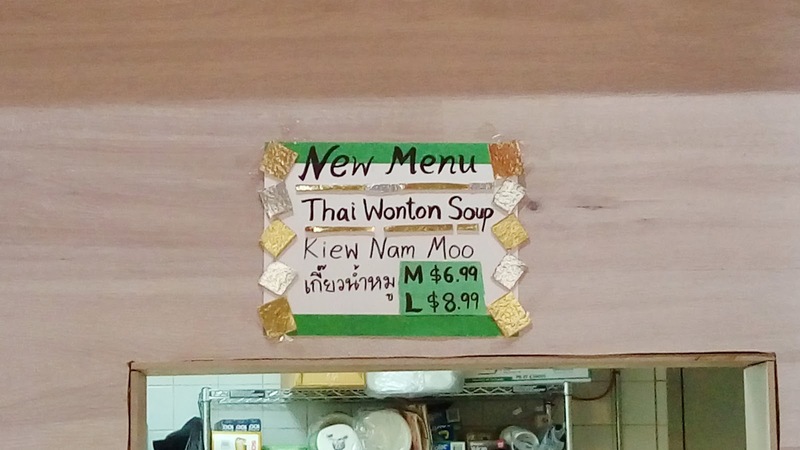 The broth had that fundamental "hot" kick with a gentle chili fragrance. The sharp "sour" taste was mainly from galangal and lime juice with a hint of lemongrass. I wasn't really in the mood for curry so the counter-lady suggested to try Pad Kee Mao, or Thai Drunken Noodles. I had the option of pork, chicken, beef or shrimp and I opted for pork. For $9.50CAD, the portion was not ideal for a big eater like me. 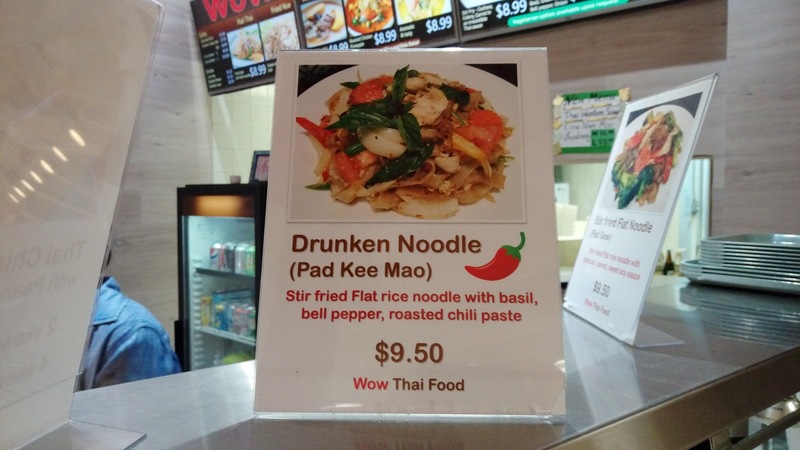 However, its generous amount of basil along with good wok-heat definitely won points with me. 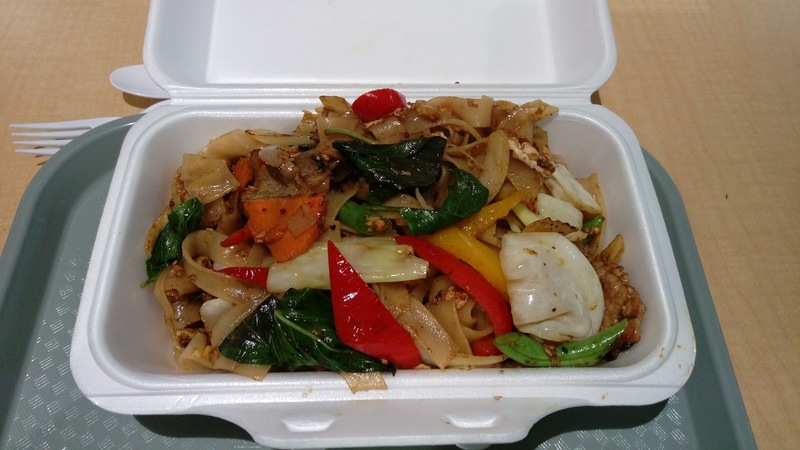 Other than basil and pork, this noodle stir-fry also had garlic, chili, egg, cabbage, bell peppers, carrots and onions. The springy rice noodles were delightful but the pork was a bit chewy. 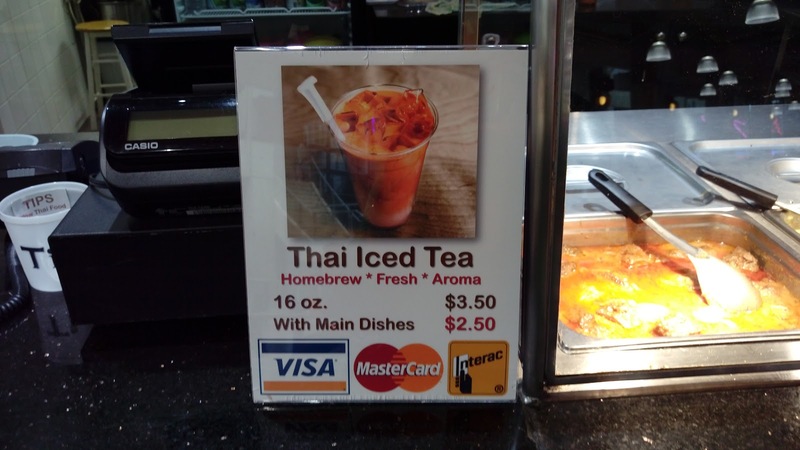 Thai Iced Tea was $2.50CAD with a meal purchase or $3.50CAD without. 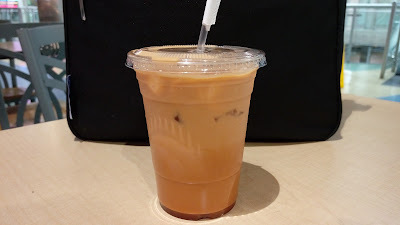 This cup of bold black tea had just the right amount of sweetness from condensed milk but zero tastes of tamarind and star anise. Overall, I enjoyed the food. 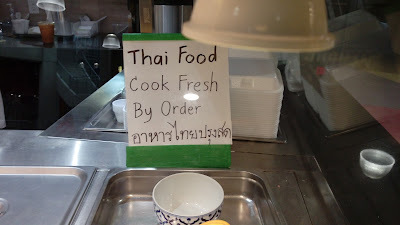 While the prices were a bit on the higher side for a food court stall, I do appreciate having the food made to order. I plan to return with Buddha Boy (along with BabyE, of course) to try its curry dishes.